The Buffalo Sabres have officially named Jack Eichel as captain of their team. 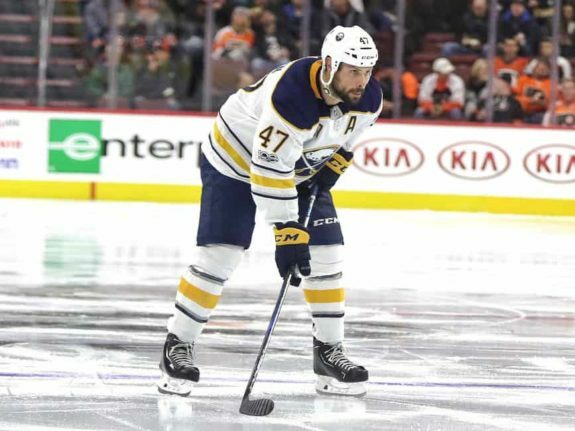 The news was announced Wednesday morning and will give the Sabres their first captain since Brian Gionta left the team in 2017. Eichel has been a star with the Sabres since the team drafted him second overall in 2015. Though he hasn’t produced points at the same level that Connor McDavid has in Edmonton, his ability is incredibly underrated given the success he’s had despite injury struggles in his short career. Though the Sabres were without a captain last season, it was widely considered an inevitability that Eichel would eventually don the C in a Buffalo uniform. After he signed his monster eight-year, $80 million contract to remain in Buffalo for the long-term in October 2017, the only thing missing for Eichel was the official letter on his jersey. In his rookie season, Eichel had a very successful campaign with 24 goals and 56 points in 81 games. Eichel produced almost identical numbers in his sophomore season with 24 goals and 57 points, though those totals came in 20 fewer games with Eichel playing in only 81 on the year. Pro-rating those totals over a full 82-game season and Eichel projected to have 30 goals and 76 points. Keeping up with that scoring rate in his third season but again dealing with injuries, Eichel would score 25 goals and 64 points in 67 games in his third season. Pro-rating those totals would have put Eichel on pace for 30 goals and 78 points in his third season. While Eichel may not have produced at a point-per-game pace or come even close to scoring at a 100-point pace in his career thus far, there’s no reason to think he’s been anything but a successful pick by the Sabres at this point in his career. Taking into account everything Eichel brings outside of scoring, from his leadership to his accountability on the ice and everything in between, Eichel has been exactly what scouts expected him to be at the NHL level. In addition to Eichel being named the captain of the Sabres, the team also named veterans Zach Bogosian and Kyle Okposo as alternate captains for the 2018-19 season. Bogosian is entering his fifth season with the Sabres after being traded to the team in 2014-15. Since joining the Sabres, Bogosian has scored nine goals and 43 points in 159 games. Okposo, on the other hand, is entering his third season with the Sabres – one he hopes will entail better luck for him from a medical stand-point. While Okposo hasn’t been quite the same player with the Sabres as he was with the Islanders, he’s still scored 34 goals and 89 points in 141 games despite dealing with some major health issues in his short time in Buffalo. The Sabres are looking to make the turn this season and finally start contending for a playoff spot. Whether or not that becomes a reality is yet to be seen, especially given the strength of the top half of the Atlantic Division. 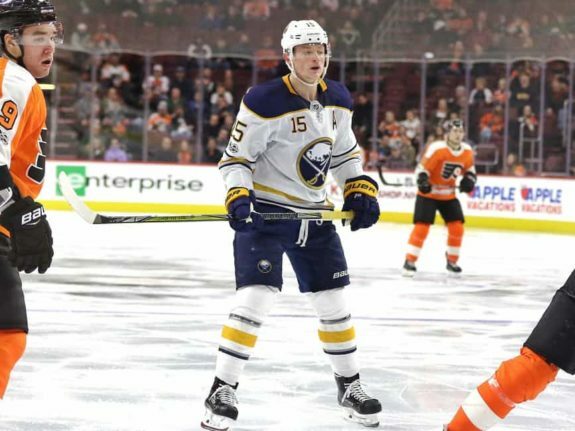 No matter what happens this season, though, nobody should be questioning some of the high-upside young players that the Sabres have now and in their pipeline – players who should make a difference sooner than later.